Colombia President Juan Manuel Santos demanded the mass resignation of his cabinet Wednesday in an attempt to re-launch his flailing government, and kick-start the 2014 re-election campaign. After a catastrophic few months for the president in which popular support for his administration has plummeted, and during which the FARC guerrillas reappeared as major players on political stage, Santos has decided that the fight back must begin. The nation awaits news of the changes that Santos will make to his ministerial team, but the talk is that they will be wide-ranging and dramatic. At stake is the future of the National Unity coalition government as parties decide whether to stick with Santos or join Uribe’s opposition movement. It remains unclear whether Santos will be able to head off the Uribe threat – his tactic is to hand out key cabinet positions to the parties discontent with the government’s direction. Also in play is the quest for peace. There has been talk – today confirmed by W radio station – that the government are already negotiating with the FARC. How will this play in the nation? It is almost certain to pull apart sections of the coalition and polarize the electorate. Santos must react by forming a cabinet that is politically strong, and able to energize the public. Above all, Santos knows he must change his cabinet into an electioneering force, able to communicate the successes of the government, and unite the nation. But until now the president’s team has failed connect – especially with those outside of the capital,Bogota. Why? Santos has surrounded himself with a team of technocrats – a necessary evil given the president’s desire to ensure the first two years of his administration were defined by major policy reforms. We are now in the second period of the 2010-14 mandate, however, and the demands are different – they are necessarily now more political, with a capital P.
When Santos came to power in August 2010, the Colombian press labelled his cabinet the ‘dream team’. The collective wealth of talent and glittering CVs of those within the new government was contrasted with ex-president Uribe’s court. There was talent in Uribe’s team sure, but loyalty and commitment to the cause was prized above all else. Uribe’s ministers were subordinates while Santos has adopted a ‘first among equals’ approach to governing; delegating and devolving power. All this was fine when things were going well, but following the crises of the past months, and with the upsurge in FARC activity, the country now demands strong leadership. So, who will Santos replace? While it is important to see which personalities change, the real decisions Santos must make are how to keep his coalition partners happy. Last month the Conservatives demanded changes to the health and education ministries, and Santos must hand out these – or similar – goodies if he is to keep the center-right on side. Likewise, the president is also mindful of a threat from the center-left, and is said to be in talks with the Green Party’s Lucho Garzon to bring him into the top team. Given the need to re-position the cabinet and the requirement to tie together the coalition, there are plenty of reasons to suggest at least half of the cabinet could go. The ministers of health, education, transport, and environment appear first in the firing line. It is not only the Conservatives who have attacked the health and education ministers, polls show the nation as a whole is less than content with their performance. At the same time, the transport minister Peñalosa is in real trouble as he faces accusations of corruption following the award of lucrative state contracts to members of his family, and while the environment minister Frank Pearl is considered a solid performer, he looks set to be moved to become the spokesman for the government’s peace efforts (a role he has performed in previous governments). These expected changes could be followed by a second rung of ministers who may well also face the axe. The interior minister Renjifo is new in his position but has been on notice from day one – he arrived at the worst possible time, coinciding with the institutional chaos and the breakdown in relations between the congress and the executive caused by the failed Justice Reform bill. Señor Renjifo is a close friend and ally of Santos so it is expected he will be moved rather than dumped. And finally signals also suggest that Santos is frustrated at the glacial speed at which agriculture minister Restrepo is implementing the land restitution policy – a key pillar of the Santos administration’s reform agenda. 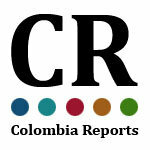 All this speculation is part of an emerging pluralism in Colombian politics. The country appears to be in a form of shock this morning – but the reality is cabinet reshuffles (perhaps on a less dramatic scale, of course) are part of the normal structure of political life in European countries. While changeswere made during the Uribe years, there was never a mass resignation; it is over ten years since the last time a president pulled the plug on his entire cabinet. Why is this the case? Put simply, it is the first time in modern Colombian politics that the issue of re-election has been a dynamic. The constitution of 1991 placed a one-term limit for presidents of the republic, a law that was amended early this century to permit Uribe to stand again in 2006. But while Uribe was virtually guaranteed victory that year, the same is not true for Santos; his re-election is now anything but a foregone conclusion. As a result there are politicians or all shades ‘examining their conscience’ and vacillating on whether to support his candidature. In short, while there was never an imperative for Uribe to make such a dramatic move because he was never in threat of extinction, Santos has been compelled to act to save his political bacon. So Santos has sacked his cabinet, but will this save his government? The last few months have been game changers. A perceptible deterioration in the country’s security situation has been compounded by a series of institutional crises that have threatened the governability of the country. If Santos’ bold move yesterday fails to arrest the dramatic decline in voter support and hold together his coalition he is doomed. We must await the puff of smoke to see who emerges in the president’s new team before we draw any conclusions about the likely success of this tactic.